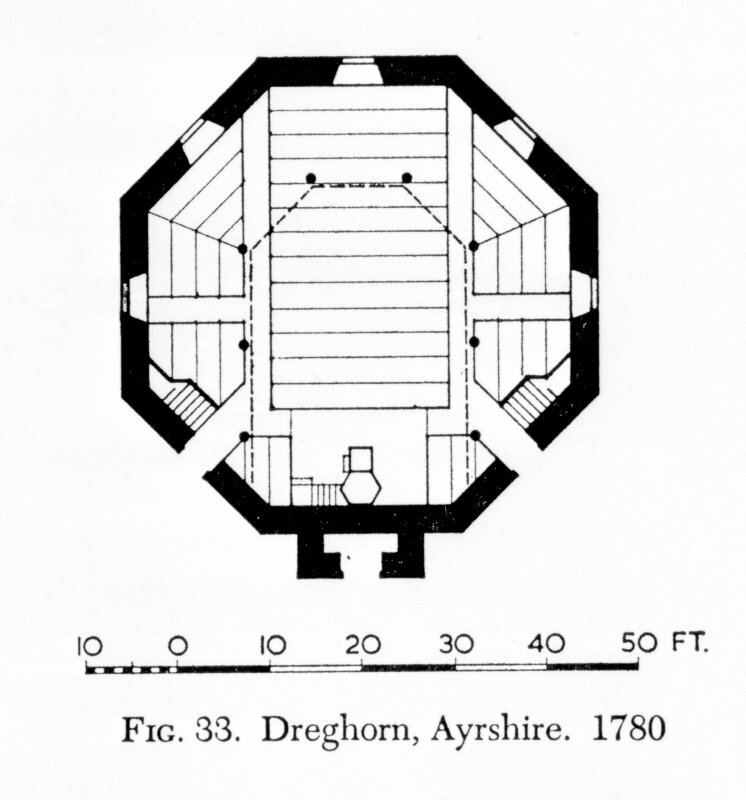 Copy of plate showing plan on page 96 of "The Architecture of Scottish Post Reformation Churches"
NS33NE 37.01 35062 38256 Cemetery. NS33NE 37.02 35195 38223 Session House. Dreghorn parish church was built in 1780 and repaired in 1854. In current use and of an unusual octagonal design. Visited by OS (JRL) 25 May 1982.